LANSING, Mich. -- Love springs eternal, as The Bard once wrote. Of course he probably never forgot an anniversary, birthday, and Valentine's Day all in the same year. If this spring finds you and your significant other in a bit of a rut if that convenience store card and those wilted carnations just didn't cut it (again) we offer a glimmer of hope: Begin planning now for a spa and golf getaway that will enliven the senses, rekindle the flame, and pamper golfers and non-golfers alike. 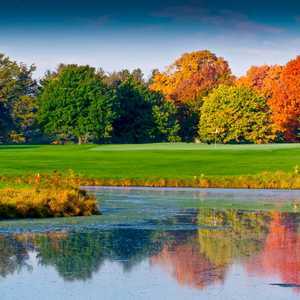 Although the Great Lakes region doesn't boast the vast array of golf and spa resorts found in, say, California or Florida, there are a few that rank right up next to the fabled playgrounds of those warmer climes. From the shores of Lake Michigan to the southern tip of Indiana, the following four resorts promise to do everything possible to help you atone for any number of botched romantic holidays (while sneaking in some world-class golf, no less!). Conde Nast Traveler has rated the Kohler Waters Spa at The American Club one of the top 40 spas in North America and the Caribbean. Part of the reason for this coveted accolade is the unbelievable level of personal service. "We want every single guest to come away with a feeling of intimate luxury, to feel completely pampered," says Joan Rogers, supervisor of guest services. For an over-the-top sensual experience, try the Primal Ritual, which lasts 75 minutes. First, you walk barefoot over naturally smoothed and gently heated river rocks, then you are submerged in a huge tub that has a river current running through it. The remainder of the session is spent in front of a private fireplace getting a shiatsu massage. As the Midwest's only AAA Five Diamond resort, The American Club offers much more than the amazing spa. There is also The Immigrant Room and Winery, one of the highest-rated restaurants in the hemisphere, not to mention four little Pete Dye golf courses of which you might have heard: Whistling Straits (Straits and Irish courses) and Blackwolf Run (River and Meadow Valleys courses). The Blackwolf Run courses hosted the U.S. Women's Open in 1998, and The Straits Course will host the 2004 PGA Championship. Vacation Ownership Magazine recently named The Inn at Bay Harbor one of the Top 20 Spas in the world, the only one on the list located in the Midwest. "It's very surreal to see yourself recognized at this magnitude," said Maureen Vipperman, Director of The Spa at The Inn at Bay Harbor. "The honor inspires us to strive even more for that five-star service." The Inn was noted for its stellar accommodations including waterfront balconies, lakeside views, in-suite fireplaces and charming cottage-style décor, along with a recently opened salon to complement the award-winning spa. The Inn stands as the crown jewel in Boyne USA's northern Michigan holdings, which also include Boyne Mountain and Boyne Highlands. And while there are myriad activities from fly-fishing to horseback riding, the real draw is the outstanding golf. 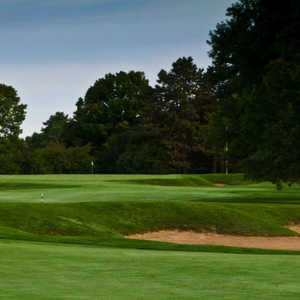 Bay Harbor Golf Club is the centerpiece of this golfer's paradise, but it is also well worth making time to play the courses at Boyne Highlands, Crooked Tree Golf Club, and the Country Club of Boyne. With the slated addition of a new Pete Dye course at nearby Boyne Mountain, Boyne is well-situated to become the top four-season resort in all of the Midwest. Doral, La Quinta, and Grand Wailea might be a bit too remote for some denizens of the Great Lakes region, especially during these tough economic times. Fortunately for us, however, the Grand Traverse Resort and Spa is owned and operated by the same company that boasts these more tropical destinations. Nothing at Grand Traverse, from the service to the spa to the golf, takes a back seat to its sister resorts, either. The resort, housed in an opalescent tower jutting high above the rolling northern Michigan landscape, boasts a 100,000 square-foot indoor/outdoor spa complex that leaves the senses literally swimming in pampered bliss. There are two indoor and two outdoor pools, four indoor and five outdoor tennis courts, cardio-theater with 20 work-out machines, weight room, saunas, whirlpools, game room, and 15 personal treatment rooms. 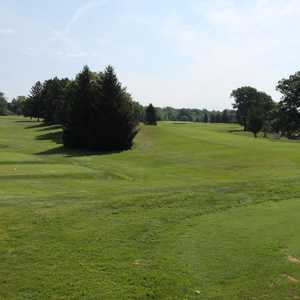 As for golf, the resort features three 18-hole designs: Spruce Run, the original track, is a 6,300-yard Bill Newcomb design. The Bear is a punishing but beautiful Jack Nicklaus layout on which the Michigan Open is played each year. And The Wolverine is a more accommodating Gary Player design, perfect for the typical resort golfer. French Lick Springs Resort and Spa, French Lick, Ind. Although just barely inside the southern tip of Indiana, which itself claims only minimal shoreline on Lake Michigan, French Lick Springs still counts as one of the most luxurious spa resorts in the region. And it is by far the most historic of the group. Since the discovery of curative waters in the natural springs, the resort has played host to glitterati ranging from Bing Crosby to Al Capone. Once a thriving spa and casino hotspot, the town of French Lick has fallen on some hard times. However, the French Lick Springs Resort still exudes an air of old money, and this traditional charm shines through most apparently in the spa, where the mineral-laden waters promise to enrich any one of the full range of services offered. The biggest surprise at French Lick is the superb Hill Course, a classic, all-original 18-hole Donald Ross layout that takes to back in time and face to face with the revered architect's domed greens and strategic driving holes. Just a few miles further south in Jasper is Sultan's Run (888-684-3287), a Tim Liddy design, opened in 1996 and garnering praise ever since. Nothing says lovin' like a long, romantic weekend at a first-class spa resort. And, fortunately for us duffers, nothing says golfin' like a long weekend at these spa resorts, either. Just be careful not to get yourself into more trouble by spending too much time on the links and neglecting that certain someone. The only hot water you want to get into during a spa retreat is in a steaming Jacuzzi.